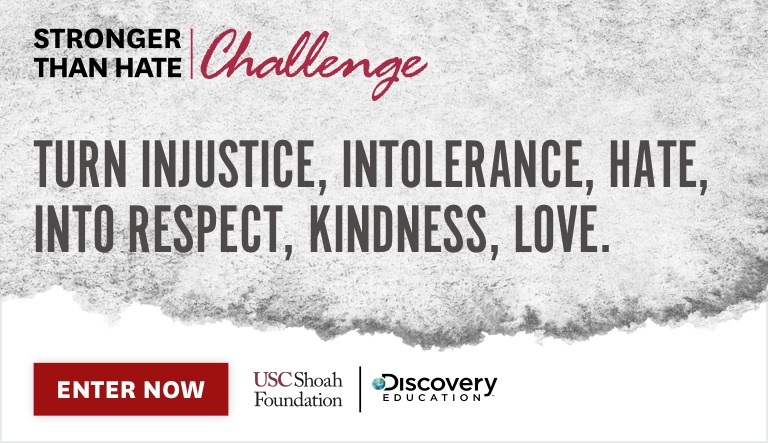 SILVER SPRING, Md., January 16, 2019 /3BL Media/ – In an effort to spark a social movement against hatred in all forms, USC Shoah Foundation and Discovery Education, the leading provider of digital content and professional development for K-12 classrooms, today announced the Stronger Than Hate Challenge as part of Teaching with Testimony. The Stronger Than Hate Challenge provides an actionable way to promote equality, challenge bias, discuss tolerance and engage students in a service-learning project that inspires action. Launched on January 15, 2019 and running through May 6, 2019, students in grades 6-12 are encouraged to participate, individually or in a group, by having their educator or parent register them for this powerful challenge at teachingwithtestimony.com/challenge. This important opportunity for youth to counter hate, and inspire their friends, school and community to join them in this mission, also comes with the chance to win scholarships and grants totaling in $10,000. In addition to being open to U.S. students, students in Canada and the U.K. are also eligible to participate. The Stronger Than Hate Challenge is one actionable way to use Teaching with Testimony in middle and high school classrooms. 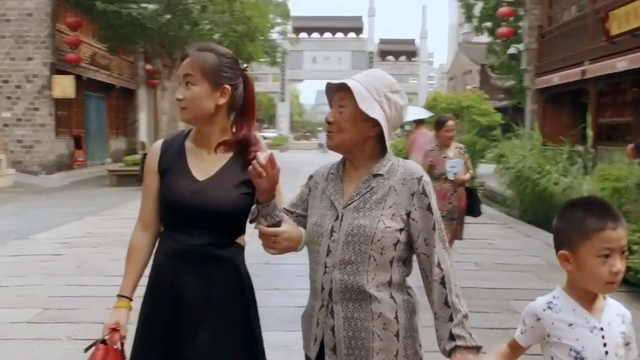 Along with the challenge, Teaching with Testimony is comprised of a series of standards-aligned resources and videos that empower students to employ empathy, build critical-thinking skills, and become inspired to create a brighter future after listening to first-hand accounts from survivors and witnesses of genocide.